Comments: With CD! Used books cannot guarantee unused access codes or working CD's! Mario F. Triola is a Professor Emeritus of Mathematics at Dutchess Community college. Marc M. Triola is Chief of the Section of Medical Informatics and Director of Research for the Advanced Educational Systems laboratory, both at NYU School of Medicine.M.D. 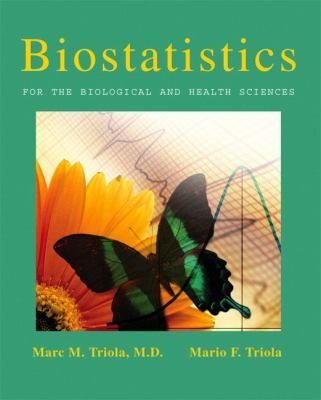 Marc M. Triola is the author of 'Biostatistics For the Biological and Physical Sciences' with ISBN 9780321194367 and ISBN 0321194365. Loading marketplace prices 37 copies from $8.65 How does the rental process work?